Atlanta Chapter’s Monthly luncheon will be held on Friday, August 19th. Registration and pre-lunch social begin at 11:30am and lunch will be served at 11:50 a.m. We will rendezvous at the American Legion Post 160 in Smyrna. 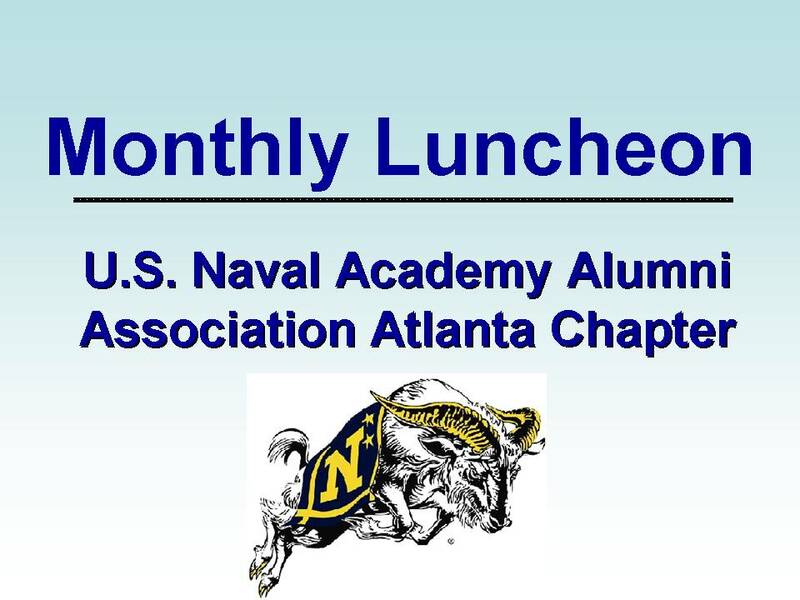 August’s luncheon Speaker will be Jeff Johnson, Captain, USNR (Ret. ), and USNA Class of 1984. Jeff is currently a 25 year tenure pilot with Delta Airlines. Jeff, a former Navy football offensive lineman and team Captain, will preview the upcoming 2016 Navy Midshipmen football season. The 2016 Navy football season follows the 2015 football season were Navy went 11-2, reached No. 15 ranking in the College Football Playoff final poll, won an unprecedented third consecutive bowl game and extended its series-record consecutive winning streak over Army Black Knights to 14 in a row. The Navy football season preview is typically presented to the Atlanta Chapter by Buddy Wellborn, Captain, USN (Ret. ), a native Texan and an USNA Class of 1959 graduate. Please plan to attend the August 2016 Monthly Luncheon and share in the camaraderie and fellowship among metro Atlanta area alumni. Cost of lunch is $15 for Chapter members and $18 for non-members. The American Legion Post 160’s address is: 160 Legion Drive SE Smyrna, GA 30080. The Post’s telephone number is (770) 436-2501.